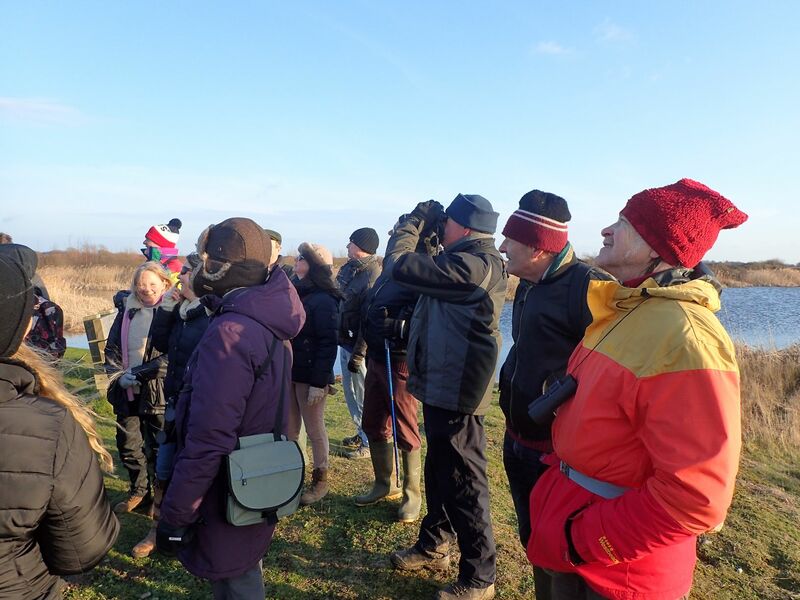 It was a chilly but beautiful day on Saturday 2nd February when 28 local walkers and a dog came along to Rye Harbour Nature Reserve to take part in a three hour walk celebrating World Wetlands Day. Nature Reserve warden Chris Bentley led the walk, supported by Cliff Dean, chair of the Friends of Rye Harbour Nature Reserve. The walk started and ended at Brede Lock. The group visited Castle Water and Camber Castle for a look inside and a chat on the history of the Castle and surrounding area. Highlights were a couple of marsh harrier quartering the reedbeds in search of a meal, great white egret (once very rare here but becoming increasingly common) and lots of ducks with shoveler, wigeon, teal and gadwall the main species. There were also masses of cormorants, many in breeding plumage, around the colony trees. They also saw a hare. Rye Harbour Nature Reserve is an internationally important Ramsar wetland site. The Ramsar Convention is an international treaty for the conservation and sustainable use of wetlands, named ‘Ramsar’ after the Iranian city where the treaty was signed in 1971. Wetlands are naturally low lying or water-fed areas of land which help store and filter huge amounts of water. In doing so, they enable wildlife to better cope with climate change. 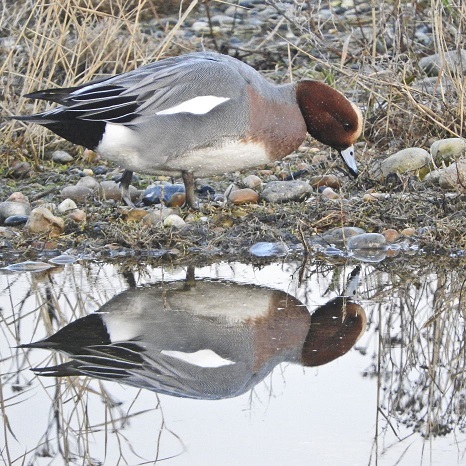 Sussex Wildlife Trust has been working hard at improving the wetlands at Rye Harbour Nature Reserve, which has resulted in a positive impact on bird numbers. Work will be starting in March on the building of the Rye Harbour Discovery Centre, a joint project between Sussex Wildlife Trust and the Friends of Rye Harbour Nature Reserve. This centre will help inform visitors about the importance of preserving habitats such as wetlands to support local wildlife now and in the future. 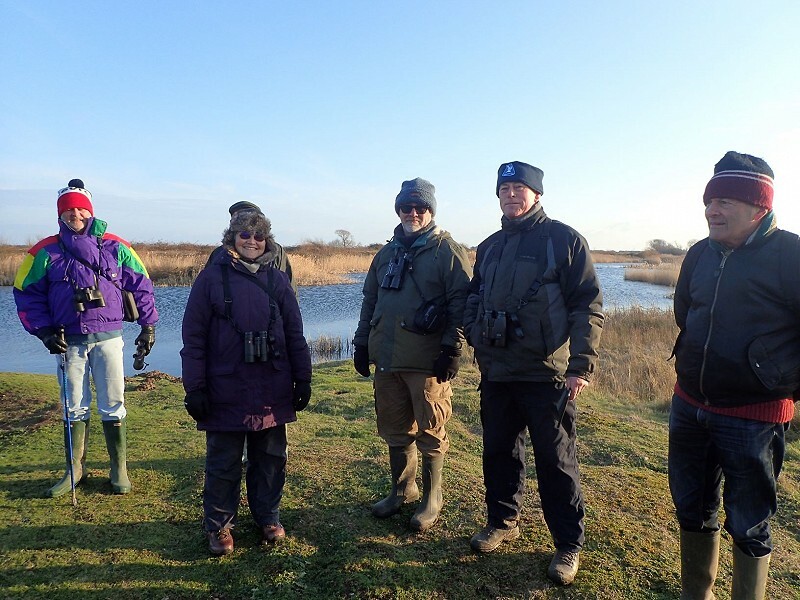 The Friends of Rye Harbour Nature Reserve is a charity whose 2,000 members support the Nature Reserve’s work through subscriptions and volunteering. Since 1973, it has part-funded the cost of staff, land purchase, large scale habitat creation, tools, vehicles and visitor facilities such as birdwatching hides and information centres. It provides events for its members throughout the year.